Here’s what’s happening Today in the 914, according to Westchester Woman:?Westchester’s Female Chefs Turn Up the Heat For YWCA; Say Goodbye to the White Plains Mall; Headlines: Election Coverages is Bias. 1.) 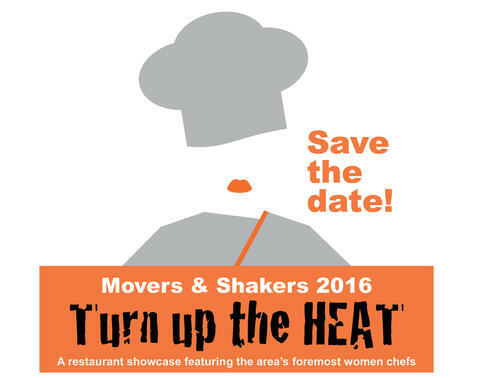 Westchester County’s most talented female chefs will be cooking for a cause at the third annual YWCA White & Central Westchester’s Movers & Shakers event. The YWCA will honor those who exemplify their mission to eliminate racism and empower women. Enjoy a food tasting, drinks, an auction?and more. The YWCA is currently seeking female chefs/restaurants, event sponsors and auction?donations for their event. Click here?more information and stay tuned to Westchester Woman for more on this event. 2.) Trips to the DMV. Stopping at McDonald’s. Having the MOST delicious lunch at Kam Sen. Getting a hair extensions?at the beauty store. All our favorite pastimes at the White Plains Mall may soon come to an end. News reports says that there are tentative plans to replace our beloved “old school” mall with… wait for it…. MORE FANCY HIGH RISE APARTMENTS! ?Because White Plains doesn’t have enough of those already. The new facility will also have stores, a parking garage and a park. WHITE PLAINS – The first mall built in the city will be torn down and replaced with a 20-plus story residential tower, townhouse-style apartments, stores and a parking garage topped by publicly accessible green space if developers follow through on preliminary concepts discussed at a recent Common Council meeting. There are far more frivolous ways to spend $45. Right? Photos courtesy of Drybar Just a few years ago, entrepreneur Alli Webb was driving around Los Angeles in her 2001 Nissan Xterra traveling to friends’ houses to blow dry their hair as part of her small side business, Straight at Home. If you’ve visited the Golden Horseshoe Shopping Center recently, you’ve likely seen the two large holes overwhelming the parking lot. They are slated to soon become buildings occupied by a CVS pharmacy, a Chop’t salad restaurant and another tenant. Buy Photo Margaret Valsechi from Lindhurst stands with a picture of her son, Stephen who was an organ donor as she shares his story during Rockland Community College’s special health and donor awareness event featuring the Big Idaho Potato Truck on Thursday, April 28, 2016.